MinexPay: Pay with crypto instantly anywhere! The easiest and fastest way to make everyday purchases with Crypto debit card! Bitcoin Press Release: MinexSystems has proudly announced its MinexPay debit card pre-order. The blockchain solutions company offers the easiest and fastest way to make everyday purchases with Crypto debit card. 29 June 2018, Kyiv, Ukraine – MinexSystems, a blockchain solutions company that has developed products such as Minexcoin and MinexBank, officially announced the pre-order for their MinexPay debit card . Cryptocurrencies have started to occupy a more significant place in the world and it will not be long before in any store, whether it’s a huge supermarket or a small point of sale, we will be able to pay using not the usual dollar, euro or ruble, but your own cryptocurrencies. As the crypto community grows, the demand for tools that would allow the use of cryptos in the everyday life is increasing rapidly. Payment cards are one of the most convenient ways of making day to day purchases. Some of those purchases, take e-commerce, can be made only via cards. Indeed, according to statistics, more than a third of all payments made involve cards. Regarding cryptocurrency payment methods, a number of solutions exist on the market, however, none of them provides an adequate answer. MinexSystems is therefore proud to have designed a unique and innovative working solution to this problem. Borderless: Worldwide payment with MinexPay card wherever VISA is supported (Visa card is accepted in more than 200 countries, 40 million retail outlets and 2.5 million ATMs for withdrawing cash). Ease of use: The process required for exchange is already taken care of. Who said a crypto card has to be complicated, right? No disruption of service: Funds are available at any time using the mobile application or the website. Real-time governance: The current balance, displayed in the currency the card has been issued with, constantly updated, allows to choose the right currency to spend. Low service fees: In comparison with other cryptocurrency cards, MinexPay offers reduced service fees (from 0%), as well as up to 1% cashback. The Platinum card has 0.5% cashback. Infinite cards have 1% cashback. Ordering the Minexpay card will be available on the 30th of June on the MinexPay web page. The countdown has already started and a sizeable demand is expected for the first convenient and working crypto card. 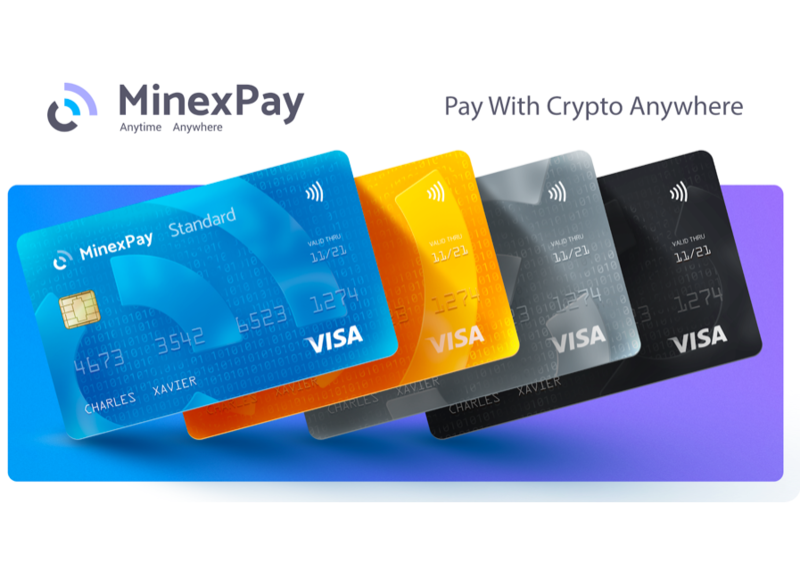 Will you be among the firsts to order your MinexPay card? Minexsystem is the source of this content. Virtual currency is not legal tender, is not backed by the government, and accounts and value balances are not subject to consumer protections. Cryptocurrencies and tokens are extremely volatile. There is no guarantee of a stable value, or of any value at all. Token sales are only suitable for individuals with a high-risk tolerance. Only participate in a token event with what you can afford to lose. This press release is for informational purposes only. The information does not constitute investment advice or an offer to invest. The post MinexPay: Pay with crypto instantly anywhere! The easiest and fastest way to make everyday purchases with Crypto debit card! appeared first on Bitcoin PR Buzz. June 28, 2018, Grand Caymen- SportsCastr today announced FanChain, a cryptocurrency designed for the multi-billion dollar global sports market, will launch its early contributor private token sale on June 30, 2018. 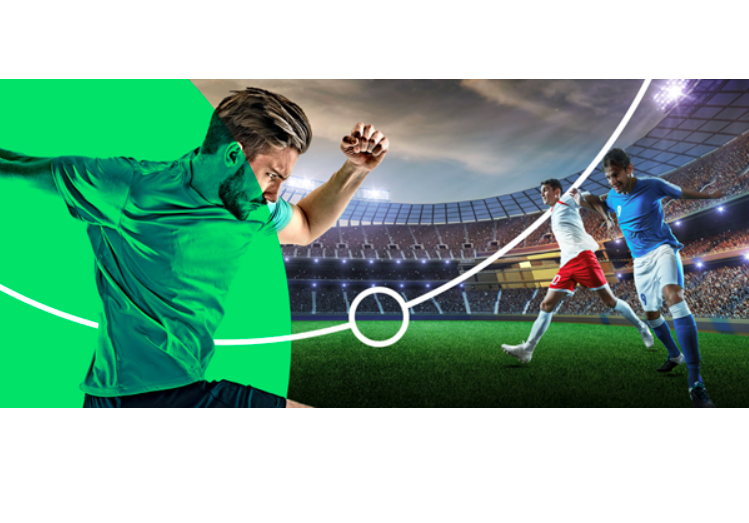 FanChain will power a decentralized sports entertainment ecosystem that rewards fans for producing content, including live color commentary on sporting events. The FanChain private sale will be hosted on QRYPTOS, a cryptocurrency exchange operated by global fintech company QUOINE. Interested contributors will need to create an account on QRYPTOS and pass KYC to participate in the FanChain private sale. More information can be found in the FanChain private sale portal. QUOINE is a leading global fintech company that provides trading, exchange, and next generation financial services powered by blockchain technology. With offices in Japan, Singapore and Vietnam, QUOINE combines a strong network of local partners with extensive team experience in banking and financial products to deliver best in class financial services for its customers. In June 2017, QUOINE launched a fully digital cryptocurrency exchange and trading platform called QRYPTOS, exclusively for cryptocurrency trading on the desktop version at www.qryptos.com. SportsCastr is the source of this content. Virtual currency is not legal tender, is not backed by the government, and accounts and value balances are not subject to consumer protections. Cryptocurrencies and tokens are extremely volatile. There is no guarantee of a stable value, or of any value at all. Token sales are only suitable for individuals with a high-risk tolerance. Only participate in a token event with what you can afford to lose. This press release is for informational purposes only. The information does not constitute investment advice or an offer to invest. 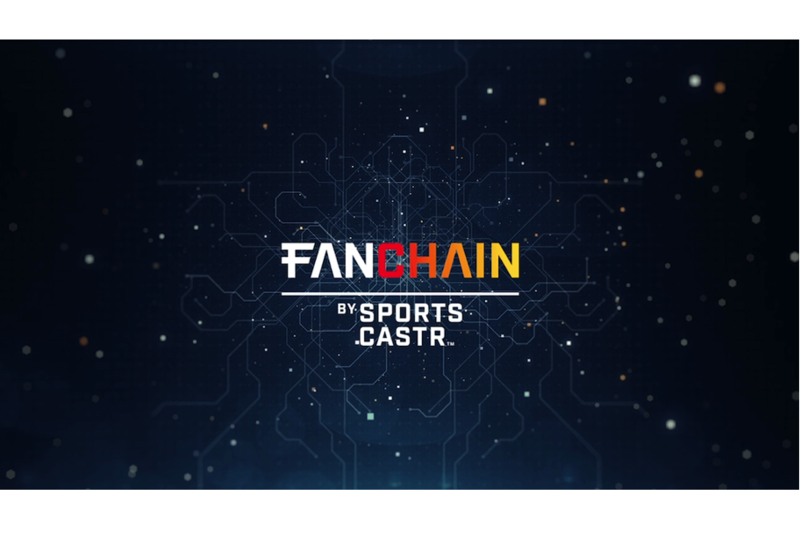 The post SportsCastr Announces Private Token Sale for FanChain appeared first on Bitcoin PR Buzz. Bitcoin Press Release: WalletBouncer a Bitcoin Wallet Monitoring Service Now Available on Apple iPhone and iPad. June 27, 2018. NYC, USA: WalletBouncer, a New York City-based technology startup specializing in bitcoin wallet security has released its Bitcoin wallet monitoring service. Available as a free download from the Apple app store on iPhone and iPad platform. WalletBouncer monitors the Bitcoin network for activity against public wallet addresses, with quick notifications directly to any mobile phone, iPad, and via email. Wallet security services like walletBouncer serve as a crucial component of a comprehensive Bitcoin storage strategy. Members use the iPhone or iPad walletBouncer app to register public addresses. Once registered WalletBouncer servers will scan the Bitcoin network for activity on those addresses, and will immediately notify its members of any activity. Members can receive notification texts in over 200 countries. The WalletBouncer app allows for customizable notifications options. WalletBouncer is designed from the ground up with its members’ privacy in mind. Wallet addresses are shielded from leaks and hacks by modern cryptographic technology. Not even WalletBouncer has access to its members’ bitcoin wallet addresses. WalletBouncer will save its members from the fatigue of feeling like they constantly need to check on their bitcoin wallet balances by doing this for them. 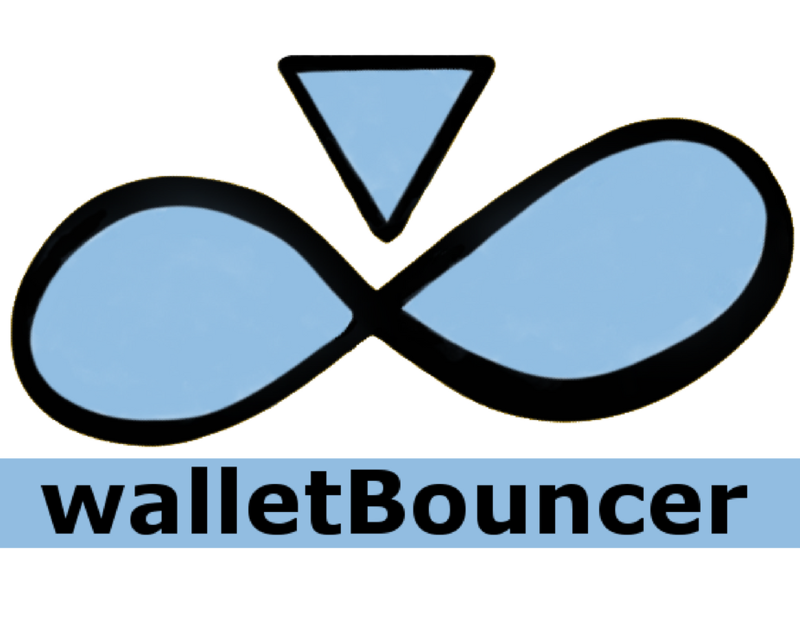 WalletBouncer is compatible with all Bitcoin wallets, and storage methods, including the new Segregated Witness bech32 (bc1) formatted addresses. The WalletBouncer team are working hard on the further development of the app, and it is set to be released on Android, and Desktop very soon. WalletBouncer Corp is a New York City based Blockchain Wallet Security Company. WalletBouncer is the source of this content. Virtual currency is not legal tender, is not backed by the government, and accounts and value balances are not subject to consumer protections. Cryptocurrencies and tokens are extremely volatile. There is no guarantee of a stable value, or of any value at all. Token sales are only suitable for individuals with a high risk tolerance. Only participate in a token event with what you can afford to lose. The post WalletBouncer Announce Bitcoin Wallet Monitoring Service appeared first on Bitcoin PR Buzz. Bitcoin Press Release: The Mazzuma platform enables instantaneous transactions using an application layer transaction processing protocol which solves the scalability issues that has plagued a lot of cryptocurrencies. Also, transactions on Mazzuma are free of transaction fees. June 26th, 2018. Accra-Ghana. 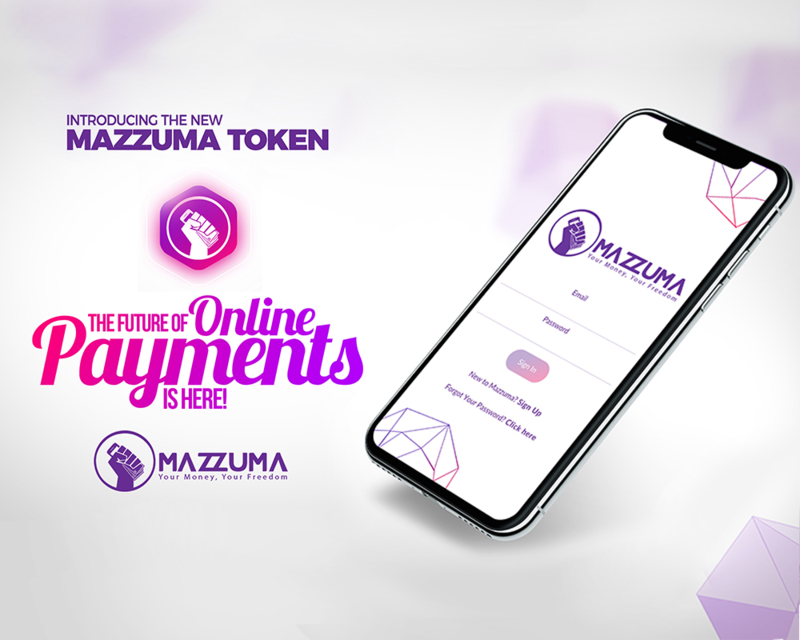 Mazzuma sets out to enable underserved consumers to get access to world class payments services using a truly distributed payments infrastructure with a multi-channel approach through the mobile app, Mazzuma Keyboard, e-commerce plugins, developer APIs and Artificial Intelligence bots on Telegram and Facebook Messenger. Mazzuma is commencing token sale activities to give early adopters and the general public the opportunity to join the ecosystem and enjoy true financial freedom. The first token sale takes place from 1st June 2018 at the price of $0.50 for 1 MAZ Token. First time buyers will receive a 20% bonus. The second token sale takes place from 1st July 2018 at the price of $0.75 for 1 MAZ Token. Buyers during this period will benefit from a 15% bonus. The driving philosophy behind the Mazzuma ecosystem is to develop a strong and robust payment ecosystem which is available to the masses and provides the freedom for users to use their funds in a convenient and stress-free manner. The Mazzuma App will be made available to the public on iOS and Android. This will enable users to send and receive MAZ on the platform. Visit https://mazzuma.com to find out more. Mazzuma is the source of this content. Virtual currency is not legal tender, is not backed by the government, and accounts and value balances are not subject to consumer protections. Cryptocurrencies and tokens are extremely volatile. There is no guarantee of a stable value, or of any value at all. Token sales are only suitable for individuals with a high risk tolerance. Only participate in a token event with what you can afford to lose. The post Mazzuma is Revolutionising Cryptocurrency Using AI and Blockchain to Enable Instant Payments appeared first on Bitcoin PR Buzz. March 8th, 2018. Singapore: “Visions for a Sharing Future” is the theme for World Economic Forum Annual Meeting 2018. During the meeting, Blockchain has become one of the hottest topics among all participants. Blockchain, the technology underlying bitcoin seems to have created a big wham to the world. It is soon to emerge as irreplaceable in all the industries, considering the obvious advantages of blockchain that can no longer be ignored. As such, moving forward with the trend is becoming mandatory in order to stay in line and be ready for the upcoming revolution. Additionally, blockchain has arisen to capture the attention of the world with countries like the United States, England, and Japan. These countries have even begun rewriting the future application of blockchain from a national level to compete with one another. The commercial value and social value in Blockchain has been globally recognized. Currently, it has formed a coalition of several well-known Blockchain, such as R3CEV which is supported by the global organization of more than 40 financial institutions. Nothing great was ever achieved without enthusiasm, with the world striving to comprehend the blockchain technology, GIA Sunrise CEO Mr. James Smith has assembled a professional team which composed several talented individuals to grow together as a qualified enterprise for blockchain. The widespread adoption of cryptocurrency is what needed to make it irreplaceable and unstoppable. In GIA Sunrise INC, we aim to make that happen. GIA Sunrise INC places the interests of our partners above all, aiming to achieve sustainability and stable value-added commodity as a priority. Besides, we uphold the importance of protecting the rights and interests of our partners. Together, we create a better future and realizing dreams as one. Since 2013, Mr. James Smith has been an enthusiast of the blockchain. After many years of studies and research on the blockchain, he assembled a professional team which composed several talented individuals to grow together as a qualified enterprise for blockchain. He wishes to bring this fortune to the globe with the knowledge and experiences he has gained throughout years of self- educating. Today, Mr. James has established GIA Sunrise INC, are the founder and Chief Executive Officer of the company. Members of the team consist of experienced financial professionals, data engineers, market analysts, and developers. Not to mention that the team will promote as well as creating a one-stop platform for trading of cryptocurrency. Not only James Smith is the founder and CEO of GIA Sunrise INC, he is an enthusiast of the blockchain industry as well, considering of the fact that he has an extremely strong understanding and interest in the blockchain after graduating from the United States year ago. Furthermore, he had in-depth exchanges with a various trading market in many different countries and participated in several ICO projects. In the process, he realized that there was room for a steady profit in the spread between trades, thus creating a cooperation between GIA Sunrise INC and various trading markets in participating in the cryptocurrency transactions. not to mention that he is the founder and CEO of GIA Sunrise INC, but under his competent leadership, GIA Sunrise INC has rapidly become the world’s leading blockchain industry due to the accelerated expansion of the business and profitability in the global market. Mr. Han Rui is the Chief Operating Officer of GIA Sunrise Inc. With over twenty years of experience in the financial institution, he is proficient in focusing on integrated financial management and debt management considering his rich knowledge in financial team management and asset allocation. He is capable to grasp the dynamics of financial markets in a macro perspective. Hence, he is the in charge of the business operations and management of GIA Sunrise INC.
Mr. Xie Ming En is the Chief Information Officer of GIA Sunrise Inc. He has worked on information collection and analysis in many listed companies in the US and Singapore. He has over 10 years of experiences in Internet value-added services, information research, marketing and team management, due to his strong background history of working in many listed companies in the US and Singapore. Presently, he is overseeing the integration of information resources, maintaining daily use of information and at the same time, plan and implement Informatization projects. Mr. Zheng Yao Zhong was graduated from Singapore National Technology University with over ten years of experiences in Forex and Binary Options development. He was serving as a chief executive officer of a large financial company considering his knowledge and unique insights in blockchain technology, which has allowed him to be able to grasp the trend of the uprising market. He is currently fully responsible for the operations of GIA Sunrise INC in the Asia Pacific region, leading the development of the business strategically. GIA Sunrise INC will further consolidate its leading position in the Asian blockchain industry under his professional guidance. The post GIA Sunrise INC: An Innovator of a Digital Economy appeared first on Bitcoin PR Buzz. The post Bitcoin.com Celebrates 2 Million Wallets Created in Less Than a Year appeared first on Bitcoin PR Buzz. Bitcoin Press Release: At the 68th Berlin International Film Festival, a new technological platform designed to decentralize film distribution called MoviesChain by TVzavr was presented. It is one of the first projects for the film industry that uses blockchain technology. Independent producers of media content are expected to have the most interest in this new platform. March 8th 2018, Moscow, Russia –The MoviesChain by TVzavr platform directly connects filmmakers and viewers, significantly reducing costs for both marketing and distribution. The new technology effectively removes intermediaries, who are now receiving up to half of the revenues from each movie viewed, from the film-to-viewer chain. The platform opens up new opportunities for independent film producers by offering them a simple, completely transparent and financially attractive distribution plan using online theaters. This all enables art house fans to be able to easily watch films from their favorite directors and up-and-coming ones almost immediately after their films premiere at festivals. At the same time, MoviesChain by TVzavr provides reliable protection against piracy, something important for independent producers and major studios alike. In the future, this will significantly slash the time between premieres in traditional and online movie theaters and make the latter more attractive. The platform has been developed by TVzavr, one of the biggest players on the Russian VOD (video-on-demand) market. Today the company’s services – TVzavr, Russian Cinema, and MoviesChain – have 175 million unique users. In 2017, user numbers grew 25% and TVzavr’s annual earnings were $10 million, doubled from the year before. Revenue from content sale grew 3% and 45% from ads. MoviesChain by TVzavr will work on a paid model with the cost of viewing one film to be $1.50. Transactions will be done using the platform’s internal currency – ZVR tokens. They will go on sale April 16th, when tokens can be acquired by trading other cryptocurrencies. MoviesChain by TVzavr Project Consultant Alexey Yeremenko believes that a real opportunity to free the multi-billion-dollar niche of independent cinema from the dominance of intermediaries exists. In order to do this, new technology exists that can provide full transparency of all transactions. TVzavr also has a decade of experience in the home video entertainment industry, a huge client base, solid revenue, and a close-knit team of 70 specialists. ZVR will be released starting April 16th on the Ethereum blockchain in the form of ERC20 tokens. 100 million ZVR will be issued in total, with 70 million ZVR being distributed during the initial offer. The ZVR token sale will last for three months. The minimum required investment (softcap) will be $5 million and the maximum (hardcap) will be $30 million. The price of tokens will be determined when the offer begins. During the first stage, only whitelist participants who have registered at www.movieschain.io can purchase tokens. The first 1/3 of participants in the first stage will receive a 25% bonus. Remaining first stage participants will get a 20% bonus. MoviesChain is the source of this content. Virtual currency is not legal tender, is not backed by the government, and accounts and value balances are not subject to consumer protections. This press release is for informational purposes only. The information does not constitute investment advice or an offer to invest. The post MoviesChain by TVzavr Preparing Revolution on the Independent Films Market appeared first on Bitcoin PR Buzz.